A few weeks ago I was contacted by a chap called Matt who suggested it might be nice to create a list of reputable camera repairers. Specifically film camera repairers. Then just yesterday – not for the first time by any stretch – I was asked if I knew of a repair company with a specialism in OM Olympus cameras. I don’t, but I bet there is one! Rather than me try and find all these specialists myself, I thought I’d ask you folks to help me make a list. So, if you know of any camera repairers – or indeed people who offer services to modify cameras – specifically ones with a good reputation or ones who specialise in certain cameras, then comment below and I’ll make a bit of a list. I don’t want this to turn into a big list of shops that offer camera repairs through third parties, I just want a list of the people or companies that do the repairs themselves. The only exception to that which I’m happy to make is for folks like Bellamy of Japan Camera Hunter who offer western English speaking 3rd party services to companies like Kanto and MS Optical in Japan, wherein going via him helps to ensure you get exactly what you are looking for. Finally, I want this to be a list from people with first hand experience of the repairers in question. We all know of some of the well known Leica repairers, and I’m happy to have them on the list, but I’m only going to add them once I’ve heard from people with direct and positive experience. If you have positive or indeed negative experience of people already listed, please also comment. 10.0.1 Do you enjoy reading 35mmc? Specialism: Primarily known for Lomo LC-A repairs but also general Russian (and I assume) other Eastern European made cameras. Roger is something of a legend if you have an LC-A. He has no online presence, not even a known email address as far as I can see. Just a phone number to contact him by. Testimonial: great guy and good specialist. Repair all kind of camera and lenses. He repaired me a Nikon F2, a Nikkor Kogaku 58/1.4 and a Pentax LX. Specialism: services Fujifilm MF, Mamiya, Hasselblad and Copal and Prontar shutters. I was sending a Fuji 690 last version for repair of the winder lever mechanism and he fixed my camera in no time. The camera worked perfect and the repair cost was only EUR 100 or so. Specialism: They fix Rollei, Leica, Sinar and Samyang as well as Tokina and Nissin. They are also specialized in Kiev 60 and Kiev 88 cameras and rebuild them. Testimonial: I never worked with them but I was reading only good things about them. Specialism: Mr. Baier is specialized in Pentacon Six, Kiev 60 and Kiev 88 cameras. Testimonial: He was a very helpful by replying to my technical questions without charging any money to me. He is also developing special holders for Kiev 88 prism to use them on Rolleiflex. He is producing special laser cut flocking kits for Pentacon Six, Kiev 60 and Kiev 88 cameras which I already ordered a couple of times. He’s my man when it comes to Kiev and Pentacon cameras. Specialism: Runs a diversified service, Repair shop specialising in 1950’s. 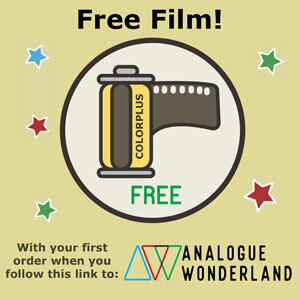 to 1980’s cameras, sells secondhand film cameras, specialising on 1930′ to 1990’s film cameras, runs a developing business with 1 day turnaround, and is a knowledgeable fellow weel versed in photo history. Specialism: Not a open shop but a particular repair service – Mostly works with mechanical German and Japanese cameras. I have used them for refurbishing an old Nikon lens that had belonged to my father. Excellent job. 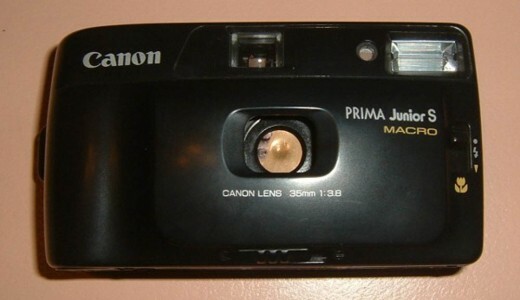 Regularly has a decent selection of used film cameras for sale reasonably priced. Bought an old Nikon FG from them. Very local and friendly. Occasionally, a pet pig greets you at the entrance to the shop! I recently had a faulty Olympus 35RD CLA’d here and got it back in great, clean working order. It took a week or two to get back, but John was very knowledgeable and helpful. Not sure if they specialize in anything in particular. Testimonial: Answers Emails very quickly and his work is excellent, great guy! Specialism: Here is a specialist for twin-lens cameras, YashicaMat and Rolleiflex. 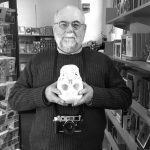 Testimonial: Mr. Mark Hama in Marietta, Georgia, USA, repaired damage done to my Rolleiflex 3.5E by another incompetent repair bumbler/mangler. Camera Repair Centre pride themselves as seeing repairs as a challenge. Tony Tavener started his career as a technician at Carl Zeiss Scientific Instruments in New Cavendish Street London W1. He dis some great work on two XA2 cameras for me! Ive used JP Cameras in Edinburgh for my Yashica 124G, but on discussion (he texts status so I had a very friendly and rambling chat though SMS/iMessage) he explained he does it because he loves it but he could also repair Fuji GW960 and Leica’s so I imagine its quite wide ranging. Very speedy turnaround on my Yashica and price certainly seemed reasonable to me. For my Leica M6’s CLA and winder repair I used Phil at Sprockets who you actually recommended to me. Miles Whitehead at MW Camera Repairs has always been my first port of call for camera and lens fixes. His prices are very reasonable, he’s communicative and has years of experience in film and digital photography repairs. Not sure of contact name. I live in Japan and have frequently used Kanto Camera for procuring and overhauling Leica M3s. I have used them for repair and overhauling of several Leica lenses. They are absolutely superb with an attention to detail and exacting standards that exceed Leica itself! People who work there are absolutely charming. If you live outside of Japan and do not speak Japanese, definitely work with Kanto via Bellamy Hunt. Well worth it. Testimonial: Very experienced and friendly guy, does excellent – has CLA’d and fixed both my Leicas (M2 & M6). Testimonial: Very experienced and friendly guy, does excellent – has fixed and serviced many of my cameras, including Rolleicord and Mamiya TLRs. Runs a diversified service, Repair shop specialising in 1950’s. to 1980’s cameras, sells secondhand film cameras, specialising on 1930′ to 1990’s film cameras, runs a developing business with 1 day turnaround, and is a knowledgeable fellow weel versed in photo history. Will’s partner Cathy did a CLA, winder repair and recover on my Leica M3. They are specialized in Leica, Hasselblad and Rolleiflex equipment. They do a healthy trade in used equipment, and service film cameras on site. Sherry is a factory trained Leica wizard! She took my old M2 (is there any other kind?) and went through it with a fine-toothed comb. Returned it to factory specs, replaced a bunch of stuff inside, did a complete CLA and then, as an afterthought, replaced a piece of mismatched vulcanite on the hinged back door. I swear, the shutter is smoother & quieter than when I sent it out. She also does first-class job on lenses. I believe her specialty is the Leica CL. I sent mine in, and she upgraded it to reflect the changes & modifications the CL went through during it’s production life. 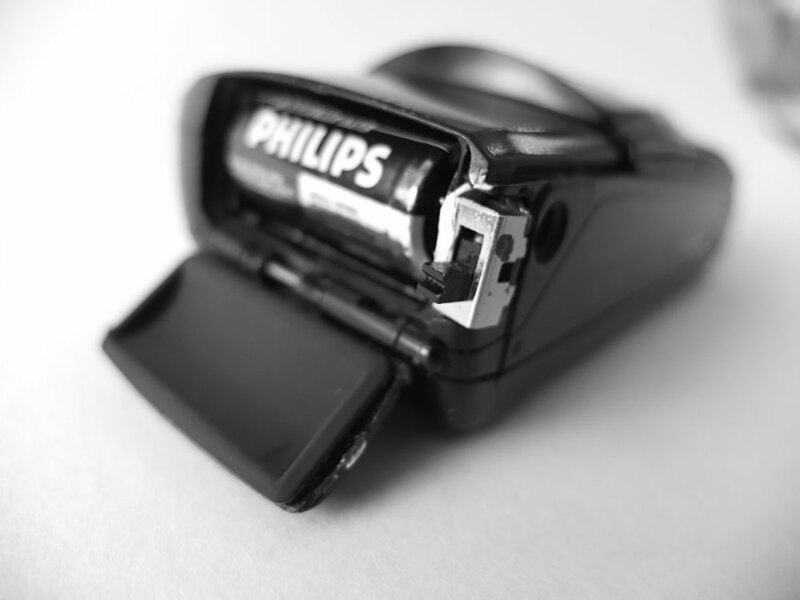 Each camera is worked on by hand…no ultrasound cleaning or over lubricating as shortcuts. She is not super fast, and her prices are moderate to slightly above average. You are getting expert repair at a good price. Hard to contact, be patient & keep trying. Check out her website. I highly recommend Newton Ellis in Liverpool, great service and reasonable prices. They’ll let you know what’s achievable with any repair and I’ve always been impressed with the results. Testimonial: I’ve had great work done by them, including CLA for Olympus and Leica lens, CLA for my M7 and M2 and, most recently a CLA of a 1930s Zeiss Ikonta folder. I am going to leave this one down here for ref. but will add it up if anyone else can validate it with direct experience. Thanks! Primarily known for LC-A repairs but also general Russian (and I assume) other Eastern European made cameras. Roger is something of a legend if you have an LC-A. He has no online presence, not even a known email address as far as I can see. Just a phone number to contact him by. There isn’t anything he doesn’t know about LC-A’s, and you will get a lovely hand written letter back detailing exactly what he has done to service your camera. I’ve used Roger as well. Sent him my sticky-shuttered LC-A in 2008 and it’s been one of my most reliable cameras ever since. I’m very eager to get a Bronica SQ-AI repaired. I’m just sent an email to Mr. van Manen. *Fingers crossed* Do you know of anyone else who can fix a Bronica? I had an M2 rangefinder resilvered at CRR Luton (http://www.angelfire.com/biz/Leica/) The whole camera came back as new (looked pretty bad before). Somewhat unusual: all contact via text messages (very reliable in spite of old homepage). I’ve been going to this shop for about 2-3 years for repairs & full servicing. Main guy is Tadeusz. ENGLISH IS NOT SPOKEN IN THE SHOP, but it is easy to get around that: I work out what I want to say beforehand in Google translator, then show Mr. Tadeusz my iPad translation. Easy. SPECIALISATION: everything – digital and analogue, from replacing foam seals, to calibrating lights meters, to servicing lenses. PERSONAL STUFF I’VE HAD DONE: Rolleiflex 2.8F (non-functioning shutter + full svc); Fuji GA645 (sticky mode dial + full svc); Konica Hexar AF (sticky shutter button + full svc); Mamiya RB67 (full svc + reseal cartridges), plus about 25 other analogue cameras (from point & shoot to medium format). COST: DIRT CHEAP! Most I’ve EVER paid for any work was 150PLN [£GBP28] for my Rolleiflex 2.8F [shutter repair + full svc] – and that camera is renowned as one of the most difficult of any camera to work on! CLA approx. 60-100PLN [£11-14]; replace foam seals 30PLN [£5]. Because this place is so affordable I invariably take EVERY camera I purchase to BT Foto for a full CLA before I shoot a roll. TURNAROUND: usually 5-10 days for non-urgent. Can be a day if you press him. SPECIAL NOTE: This is NOT a swish, modern shop. It is strictly old-school. I don’t even think they take credit-cards. But these are the type of places that know analogue stuff & get the job done. It could be very cost effective if anyone visits Poland on holiday to get a load of cameras done while you’re here. But, if done via post it would likely not be so cost effective as certainly a courier service [DHL, FedEx] would be essential. I’m happy to help anyone who is visiting Warsaw – just drop me a line. Testimonial:Camera Repair Centre pride themselves as seeing repairs as a challenge. Tony Tavener started his career as a technician at Carl Zeiss Scientific Instruments in New Cavendish Street London W1. 8124 SW Beaverton Hillsdale Hwy. I have not personally had a camera repaired here but I have had friends and instructors use them before with great results. The staff is really nice and they have clear and reasonable prices for all of their repairs, they also work on digital cameras and do IR conversions! I’m going to leave this one down in the comments until I get a direct recommendation – thanks though! Alan is a former Konica technician who has been running an independent repair and maintenance service for many years. He’s a bit of a generalist, handling all manner of digital and film gear, but significantly for us knows a lot about film SLRs, MF lenses and will attempt to repair compacts. I’ve had Alan service my film SLRs and he’s always very thorough and his prices are very reasonable. Viktor makes custom light seal kits for most cameras. He’s scaled back his operations a bit in recent years and doesn’t sell as regularly on eBay, but if you email him and request a kit for a particular camera he can normally make one for you. I’ve purchased light seal kits for my Canon A-1, Pentax MX, Olympus XA and Olympus XA2 and they’ve all been perfect and come with clear and helpful fitting instructions. I wonder why this did not maker your list? Are there rules for non-acceptable countries? Well I recommend him, otherwise I would not be writing it for chrissake! Is this a free masonry group, with secret handshakes upturned crosses and stupid outfits? If I ever come up with a handshake, you’l be the first to know! Another thumbs up for CRR Luton for Leica repairs. The website is eccentric and email erratic (SMS fine) but Peter is a gent and a master craftsman. My working but rheumatic Leica iii came back like new. Remirrored rangefinder, mechanics all stripped, cleaned and calibrated for about £150. 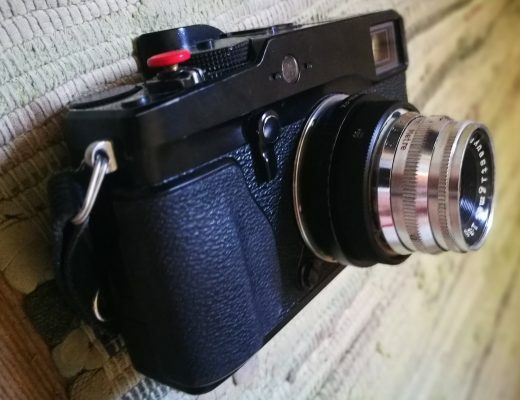 This post is a very good idea Hamish – have already used one of the contacts listed here to help fix up an old Voigtlander folder! Hey Hamish, how about secret hats? I’d like to add another shop – they’re specialists and they don’t repair cameras, only light meters. They have repaired/recalibrated two Gossen Luna-Pro analog meters for me. The cost to work on each meter didn’t exceed $90USD. I’m going to send in my Weston Master V for calibration. Call for information on repairs to your specific meter before sending your equipment out to the land of milk & honey. Work comes w/a 90 day guarantee. You pay for S&H. They are friendly and helpful. The buzz is that they work on the meters for the motion picture industry. Hey, I’m a young camera tech located in Warsaw, Poland. The name is Krzysztof or Chris. I’m not under any business, just doing this in my own name. I’m specialized in Canon AE-1, AE-1P and A-1 and Olympus OM 1/1N/2/2N/2SP/4 but have done a few Rolleiflexes, Konicas, Yashicas, random other cameras. I can do Nikon F4 stuck aperture lever repair. I have experience in lens cleaning from OM Zuiko to Canon FD to Nikon F to random others. Extensive list of service manuals and information. Clients in Warsaw, Budapest, UK. Polish/English/German. Not a open shop but a particular repair service. Mostly works with mechanical German and Japanese cameras. Answers Emails very quickly and his work is excellent, great guy! In Bucharest, Romania, great guy and good specialist. Repair all kind of camera and lenses. He repaired me a Nikon F2, a Nikkor Kogaku 58/1.4 and a Pentax LX. I got three addresses to add to this list. Mr. Tondera services Fujifilm MF, Mamiya, Hasselblad and Copal and Prontar shutters. They fix Rollei, Leica, Sinar and Samyang as well as Tokina and Nissin. I never worked with them but I was reading only good things about them. which I already ordered a couple of times. He’s my man when it comes to Kiev and Pentacon cameras. Exclusively a camera repair shop repairing digital and film cameras. Always had very good experiences with them; they serviced my squeaking Canon A-1 very well ! Pentax specialists and have large amounts of stock of spare parts and do excellent repair and service jobs. Also work on other brands of camera. They do most things, but that part of the shop does seem to specialise in Leicas (it’s where I bought my Leitz Minolta CL). I’ve had a couple of things repaired, including a Pentax MX whose mirror had dislodged when I dropped it, and a Pentax-M 85mm lens with a lazy iris. Did one repair the same day when I was leaving the next day. 6 months warranty on repairs. based in Bletchley. He does most makes, both film & digital, but started as a Minolta technician. Fixed my Minolta X-500 after it’s electrics died from being unused for 10 years. I can also confirm that Peter Grisaffi at CRR Luton is excellent. I bought a fairly ratty old Leica IIIc which had supposedly been CLA’d by a Leica specialist in the US but which really wasn’t working at all. Peter completely stripped it down, repainted it matt black (the chrome was lifting off), resilvered the rangefinder and what I got back was a camera that looked and worked like new. Since then, he’s serviced several lenses for me, and CLA’d a couple of Minox subminiature cameras (a C and an LX). All very well done. As for Olympus OM specialists in the UK, I’ve used http://www.lutoncameras.com several times and their work has always been very good. They’re recommended by Olympus UK, which must mean something, and they still have a reasonable stock of spare parts. Specialize in film cameras and lenses of all types (35mm, rangefinder, medium format, large format), and specifically are the exclusive North American authorized service center for Contax, Linhof, and Wista cameras and lenses. 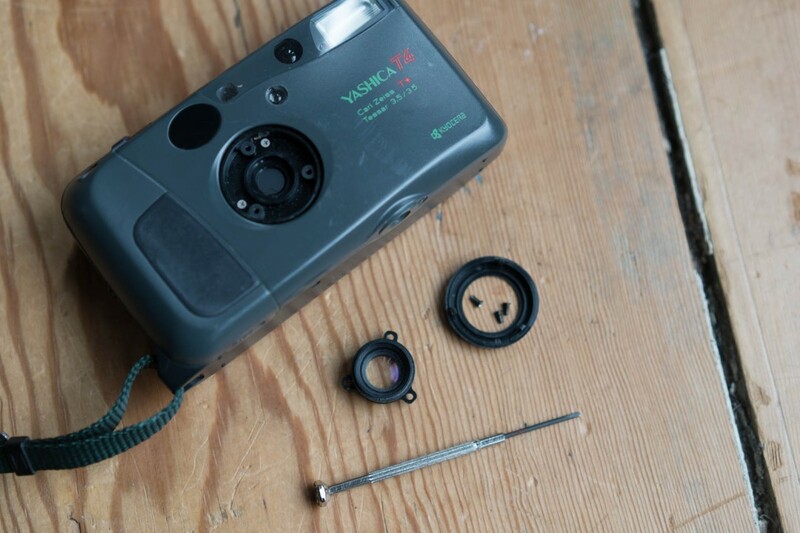 For those who use point-and-shoot cameras, they will do repairs on Yashica and Contax point-and-shoots. I bought a Yashica T3 on Ebay years ago only to discover that the autofocus motor and rail and the taking lens were shot. Consequently, I shelved it due to not finding a company who would even look at it. Fast forward to this past spring, I was recommended by Mark Hama to email Nippon in NYC. After some discussion with their tech, I sent my Yashica to them for repairs. They replaced the taking lens, fully overhauled the shutter mech, replaced the AF Rail, did a deep clean and adjust. Took about 2 weeks from the day it left my hands to the time I got it back (I live on the other side of the country in Arizona). It came back quirky, however, as after shooting half a roll the shutter would simply auto-advance the film, not fire it. After a quick call, they told me to send it back immediately for further tweaking (all free, under their warranty). Shipped it, they fixed it, and sent it back. Came back pristine, all issues fixed. ; I basically have a brand new Yashica T3. Incredible customer service, great repair job. Highly recommend them. Specialist: He has been repairing Cameras, Binoculars and Luxury Watches since 1950’s. You name the camera he has fixed it; He even has his own custom machines to make gears or old spares which are not manufactured anymore. He has been generous to donate a lot of film cameras to one of the collage to share the evolution and help new generation learn. Testimonial: Super talented person and his work is perfect! Restored a Rollieflex 2.8F from him recently, every aspect was looked into and first roll shot and was sharp and produced good images. If there are any short coming in the work he has done, he does say it and asks for a lesser pay than said as he himself was not satisfied with the work. Specialist: Second generation camera repair person, trained under his father. Repairs film ( (35mm, rangefinder, medium format, large format) and digital cameras, lenses and does the camera restoration works too. Testimonial: Reasonable and does a clean and timely job! Repair and service all my film and digital camera from him, better than the company service stores. Harrow technical needs to be removed, sadly the proprietor is now retired. I can, however, recommend Asahi Photo in Brentford who did fine work on a Pentax LX for me with a fast turnaround too. I can recommend three shops in the USA, all of which I’ve used more than once. Mr. Fleenor is one of the best known repair techs for Rolleiflex and Rollei gear. He’s busy, so expect a bit of a wait. Excellent work. He did an outstanding job on my Rolleiflex 2.8F Whiteface, including replacing the original focusing screen with a brighter one. And sent back the old screen. While he works on a number of brands, Mr. Hama is perhaps best known for keeping Yashicas alive. He worked on my Yashica FX-3, first giving it a badly needed CLA and recladding, then a few years later, replacing the original shutter assembly, which failed on a trip. He sent back the original shutter assembly with the overhauled body. Mr. Henry Scherer is the guru of all things Zeiss Ikon. He’s serviced three of my cameras, and four lenses. His skill and knowledge is evident in the relatively long wait times to get you kit back, but Mr. Scherer is worth the wait. Eric has done one H series for me, five Spotmatics, and ME Super and MX. His cost is very reasonable. Actually extremely so from my point of view. I generally do my own seals before sending. Yet, as an example, one camera got a CLA, new light seals, finder cleaned, meter switch repaired and new photo cells while repairing the meter system for $100. I know one in Lithuania, who works alone, independently and has around 30 years of experience in repairing mechanical cameras, he also repairs lenses, digital cameras and do much more stuff. I have brought some cameras – old and new to him, and I was really satisfied! He works in profesional way and prices are low and the quality is really great! He has also lots of spare parts, he also shoppering old cameras and their parts. By the way his working place is amazing! Looks like a museum, with walls full of cameras!! So from my experience, I would recommend and would say he is the best in Baltics, or even in Western Europe as while living for few years in Austria, could not find any profesionals at all who could repair my old leica and zenit!